£1M+ worth of stock and delivery available over a huge area. We are your first choice for the best in plastics. 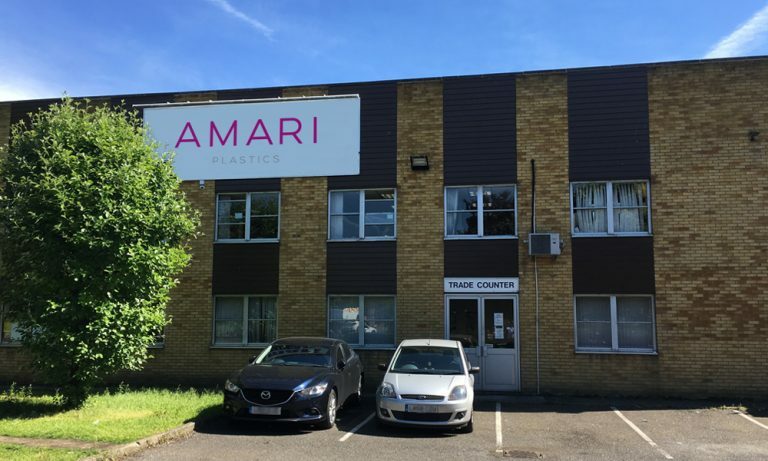 Welcome to Amari Plastics West London. We are a specialist supplier of virtually everything the Signs, Display & Graphics, Industrial & Engineering and Building & Construction sectors could need. From digital roll media and plastics including print vinyl, laminates, acrylic up to 25mm thick and 6m long sheets of multiwall polycarbonate, to PVC, foam PVC, aluminium composites and associated accessories such as adhesives. With over £1 million pounds worth of stock ready for your project, standard sheets or cut-to-size available, and delivery throughout West London and Hertfordshire, Buckinghamshire, Surrey, Berkshire, Oxfordshire and Middlesex, we are your first choice for the best in plastics. Our sales office is open Monday to Friday, 8am-6pm. Or contact us over the phone or at our trade counter – open Monday to Friday, 9am-5pm – for friendly advice.